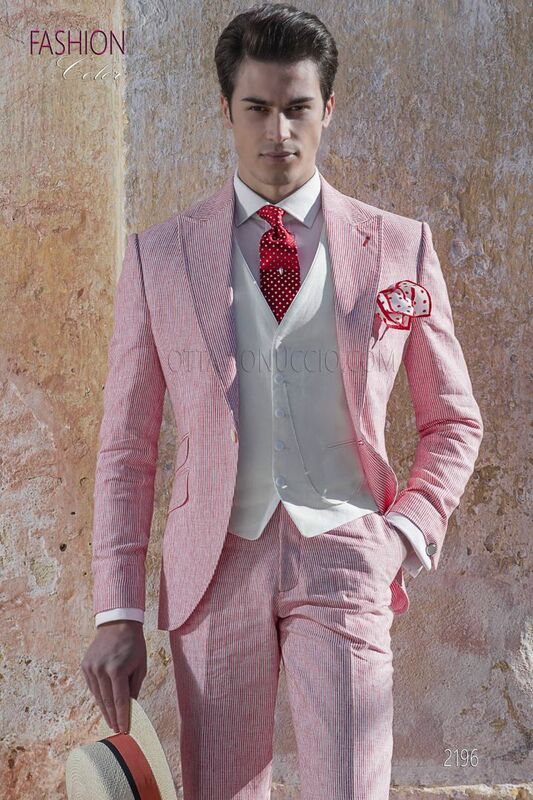 Waistcoat made from ivory linen with contrast piping and 5 signature corozo buttons closure. 8.5cm tie made from 100% red and ecru jacquard silk. Handmade.